The WARMroof Hybrid options allows even more light to flood into the room. The glass panel allows you to retain an element of light within the room yet keep the thermal efficiency. technology underpins the design in each of our roofs to ensure they offer the very highest levels of thermal efficiency. 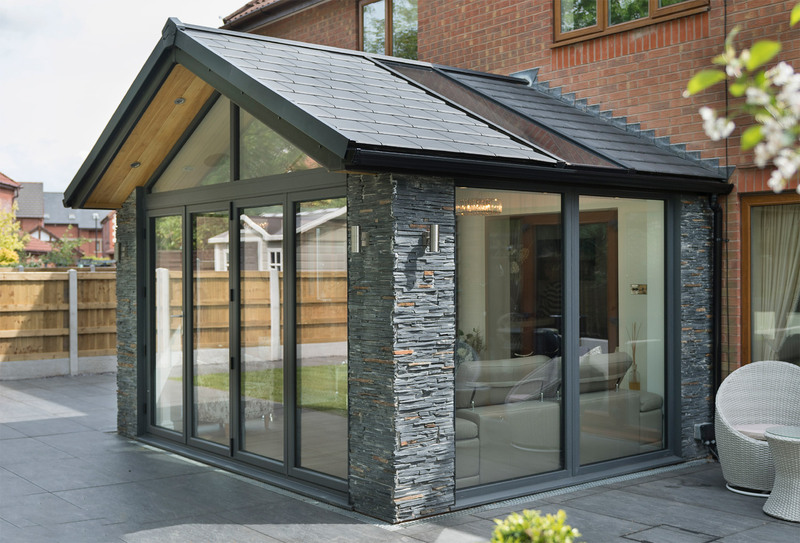 This solid, tiled roof gives a robust extension feel, yet with the airy & light environment of a conservatory and with the option to add Velux roof lights or even a fixed 44mm triple glazed panel, you don’t have to worry about losing light in your extended living space.